TRUBA is made from 100% recycled paperboard mailing tubes sourced at a local mill. TRUBA was inspired by an empty paper towel roll and developed to transform the common mailing tube into a beautiful and useful object. TRUBA, which means tube in Russian, is a shelf for charging your cell phone and holding keys, ID cards, and other small objects. Use it as a single unit or create a decorative wall arrangement. There are four different TRUBA designs, each about 3 inches in diameter and 12 to 16 inches wide. Each unit can be positioned facing front or as a cradle. Three sets of mounting holes allow the cradle position to be flipped 180 degrees for optimum location of a cord lock. 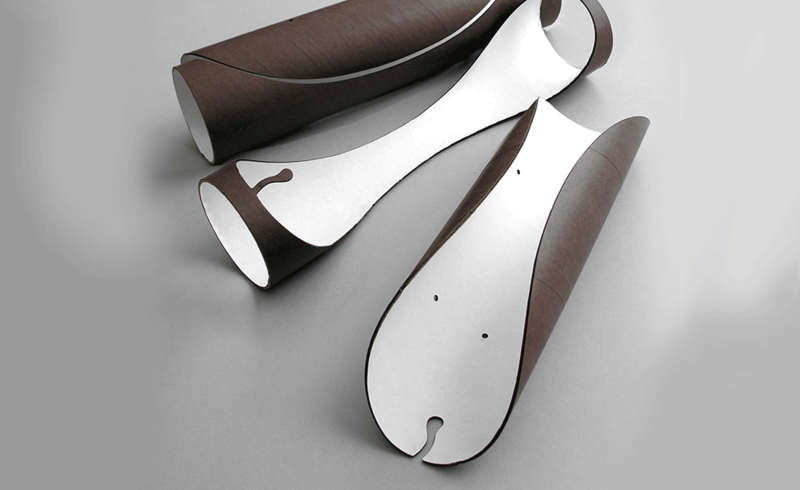 Some designs include an optional cutout hook, ideal for hanging a key ring. 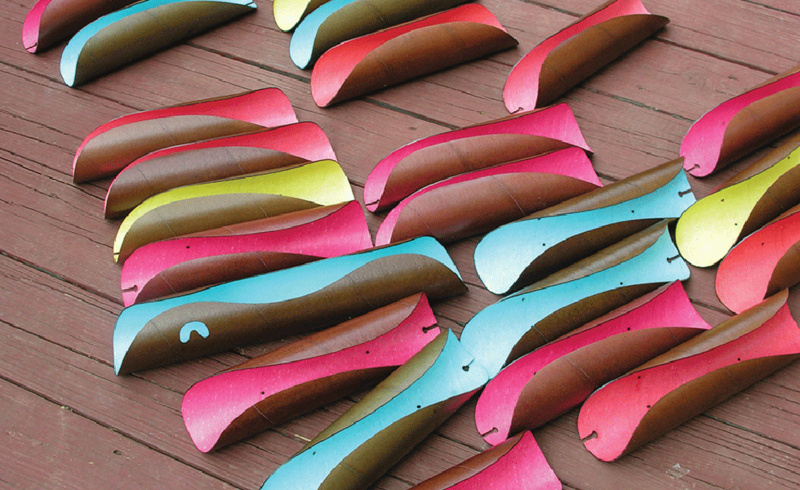 Shapes are laser-cut and then dyed, hand-finished, and coated with several layers of a protective finish. 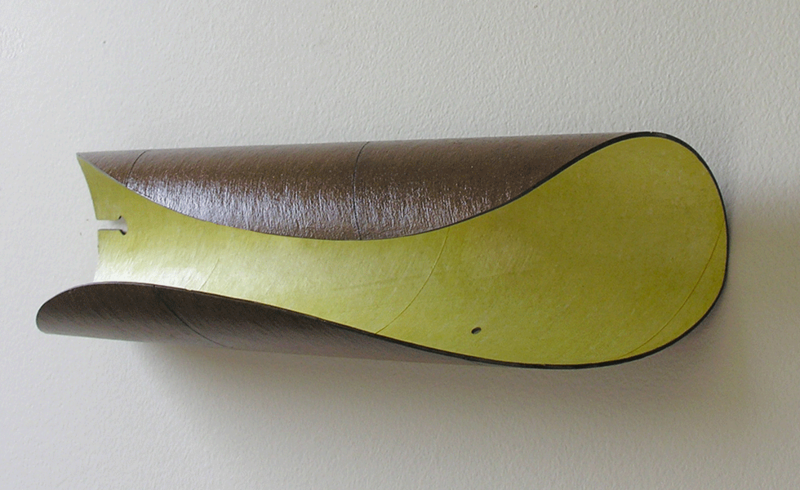 TRUBA is featured at the exhibition Haute-GREEN and at Designboom Mart 2007 at ICFF. The brightly dyed interior contrasts with the dark, polished exterior. 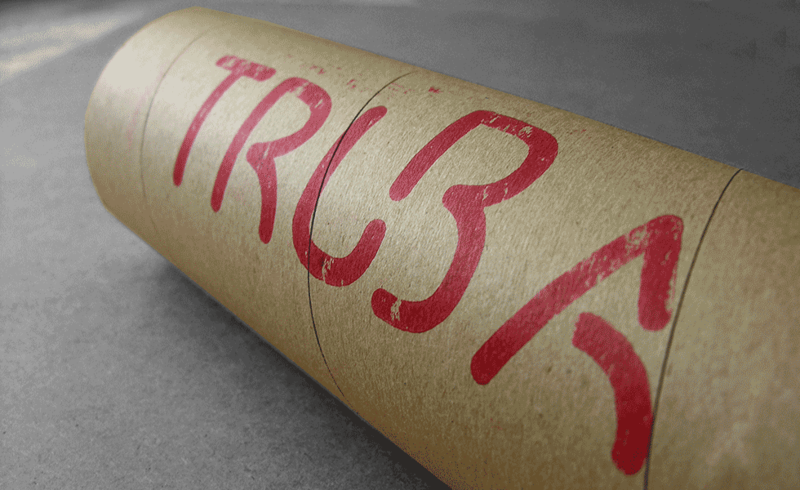 TRUBA is packaged in a second tube that doubles as a shipper; the hand-stamped graphics indicate places for positioning postage and a shipping label, making it intuitive to reuse the package as a mailing tube.